It was early in the day when I received an email invite to something called a “Lollipop-Up show”. With that kind of title, why not look a little closer at the details? I was given a golden ticket to Toronto’s low-key best place to be a few days before the big fright. 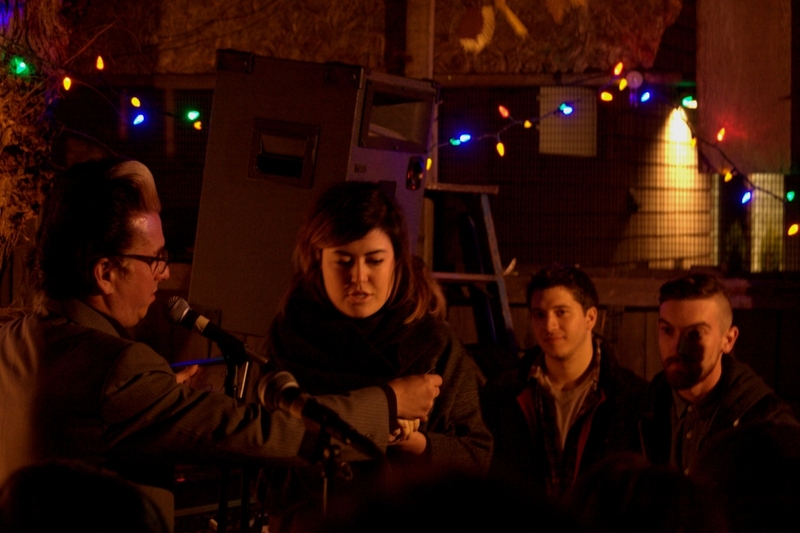 Toronto indie pop band shy kids, who also double as TIFF-familiar filmmakers, put together one unforgettable night complete with magic, mystery, and lots of Pommie’s Dry Cider. After getting off the Greyhound coach bus at 7:00pm, my two friends and I walked around the crowded Yonge-Dundas Square in anticipation of what was waiting for us. There were no details as to what the location would look like or what sorts of shenanigans would take place. The looming mystery was a bit worrisome but definitely intriguing. As we walked down Spadina Avenue, we almost missed the venue if not for the brightly-dressed door greeters and the frenzied shouts coming from inside. We handed in our golden tickets and found ourselves inside what looked like a college dorm party. The place was covered top to bottom with Halloween decorations. 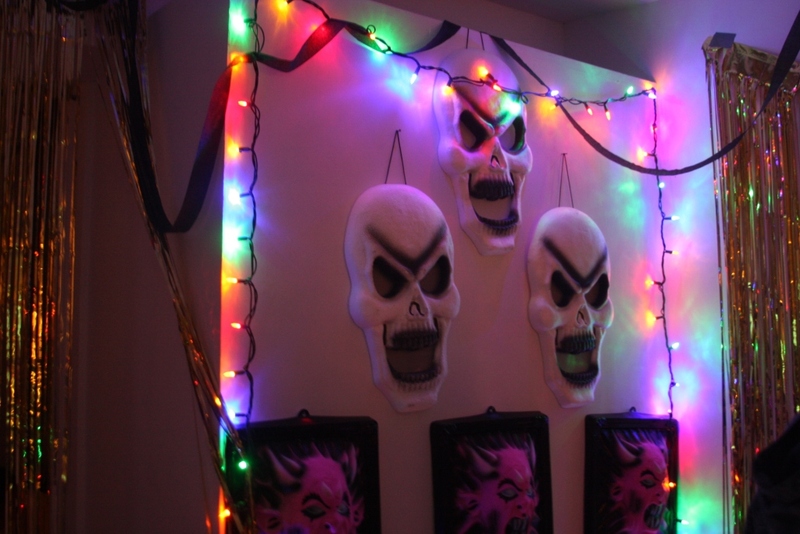 Streamers, lights, masks, and cut-outs filled the empty spaces and made for a festive affair. The basement of the building was something out of a horror film, draped in dark shadows and fading brick walls that twisted and turned in a labyrinth to the drink table. shy kids, despite having a few sound issues, were chipper to give their audience a good time. 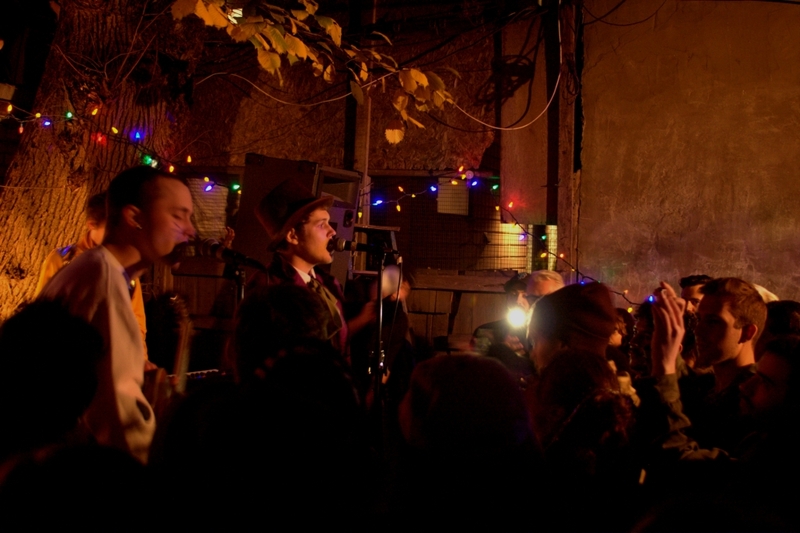 The stage was set up in the backyard, a physical step outside into the crisp evening air. The audience was decked out in all their fashionable costumes, some of which included a giant rabbit, a pirate, Little Red Riding Hood, and the Big Bad Wolf. The evening began with an unusual opening act. Rather than having a band warm up the crowd with some light playing, Doctor Mysterion the magician entertained the tipsy party-goers with mind-blowing illusions. His show was captivating, prompting several shouts of “Burn the witch!” and “What the hell? How did he do that?”. 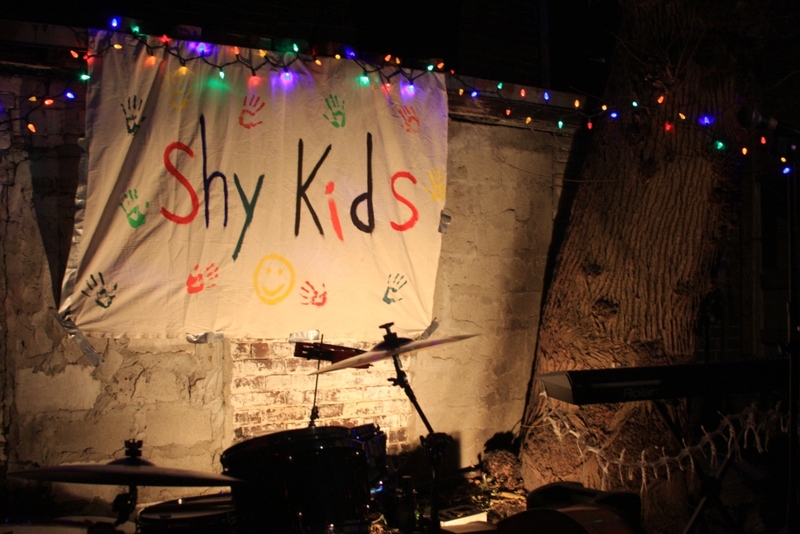 shy kids began their acoustic set shortly after, with stunning renditions of album hits like “Which Wine?” and “® o c k e t s”. The show’s energy escaladed as the music grew louder and more intense, making the cool night heat up to a comfortable temperature. Throughout the set, singer Walter Woodman made sure that no vibes were killed as he constantly kept the passion alive. With his appropriate Willy Wonka costume, he kept asking to make sure no security shut down the party after the noise curfew. At the end of the set, many thanks were given out and the set came to a hush. The after party consisted of DJ Bobby Love laying down some classic tunes in the basement below for people to mill about and get their groove on. It was a great end to an exciting evening. Though the event wasn’t a fancy affair, it made up for that in charisma, friendliness, and an overall good atmosphere. If you haven’t already, be sure to check out shy kids’ debut album Lofty!, free to download or buy on their Bandcamp page. The album is just as sweet as its lyrical content.